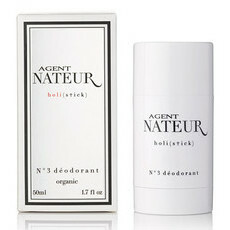 AGENT NATEUR produce the Holi(stick) N°3 Deodorant, a luxurious, all-natural and aluminium free deodorant stick hand made in West Hollywood. Created with skin-loving, food grade ingredients including organic coconut oil, beeswax, sodium bicarbonate, avocado butter and raw organic honey, Agent Nateur's deodorant is natural yet effective, harnessing the sweet floral fragrance from healing essential oils. 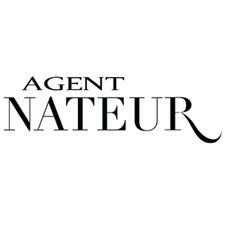 Agent Nateur is also free from the toxic chemicals and metals found in the ingredient lists of mainstream deodorants. 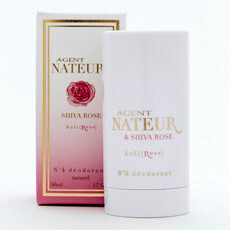 Agent Nateur was created with a mind to produce a toxin-free yet effective deodorant and a luxury natural cosmetic brand, making this brand a great option for those who want a more high-end deodorant, minus the nasty ingredients. A guide to natural Deodorant Sticks!